This cream uses natural ingredients that simultaneously moderate melanin synthesis while brightening for a beautiful, even skin tone. A richer and more luxurious formulation which creates a premium product for those who prefer creaminess to milk. In addition, O'tentika® Skin Tone Fade Out Cream is specifically formulated with an advanced delivery system for these nourishing ingredients. You can expect rapid absorption, long-lasting effects, and deep penetration into your skin. 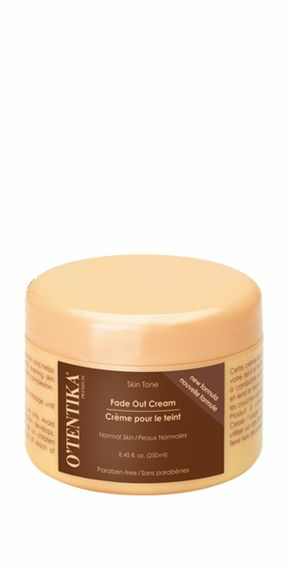 Like all similar beauty products, O'tentika® Skin Tone Fade Out Cream is intended for external use only. Avoid contact with the eyes, and if irritation develops, discontinue use. Do not use on children under the age of 12. Finally, watch out for fading shyness around mirrors as O'tentika® Skin Tone Fade Out Cream restores beautiful, even skin tone.